Flowers and hampers are one of the best gifts to send to family and friends when it is time for New Year’s Day celebrations. The florist has the best arrangements specifically designed for this annual holiday. 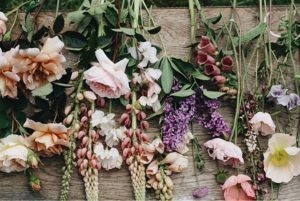 Flower bouquets, wreaths, Christmas tree, and table centerpieces are among the flower arrangements people choose for flower delivery as gifts to their loved ones. 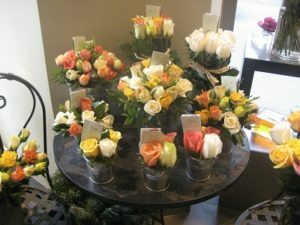 Aside from flowers, there are also great selections of gifts and treats to find at the flower shop Look for a florist that you can trust when it comes to unique designs. If you are celebrating Chinese New Year, you will surely enjoy the hampers Singapore designed for this special occasion. An assortment of gifts and gourmets and wines are available at the shop. The florist can make baskets and hampers of gifts based on a theme or on the Chinese calendar. Romantic flower bouquets are always created for Valentine’s Day flower gifting. The florist sees to it that new and unique designs are conceptualized each year to provide clients with new arrangement every Valentine’s Day. Non-romantic flower designs are also available, giving you wide options for flower gifts to send to friends, parents, relatives, and family. Birthday flowers for male and female celebrants are available as well. The florist creates more designs for unique birthday gifts but you may choose to customize own for the special celebrant you want to greet. For your wife or husband, or for a friend or family or parents celebrating an anniversary, flowers can be your best gift to express your thoughtful greetings. The florist has different designs for each count of years being celebrated. Your mother is the most special person in your life that you should never forget to bring or send flowers to. With a gift of a bouquet of fresh flowers, you will be able to express your love, appreciation, and respect to your dearest mother. The florist in Singapore is the best person to trust when it comes to Flower Delivery whatever the occasion is being celebrated.